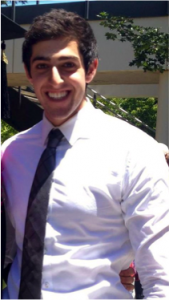 Research Interests: Shonit is working closely with Justin Madrigal to research mechanical properties of degradable alginate hydrogels with the goal of designing injectable material systems for sustained delivery of therapeutic angiogenic vectors. Shonit is also leading a project to build, program, and test a digitally controlled open-source syringe pump, a cost-effective alternative to commercial syringe pumps, for use in the Silva Lab. 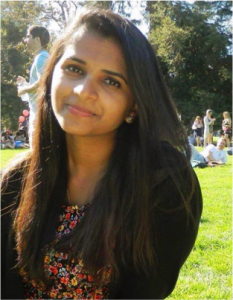 Bio: Shonit is a fourth-year Biomedical Engineering undergraduate student at the University of California, Davis. After graduating, Shonit plans on attending medical school. In his free time, Shonit enjoys playing the piano, kicking a soccer ball around, and attempting to beat the world record for fastest solve of the Rubik’s Cube. Research Interests: I began researching in the Silva lab in May of 2014, under the supervision of graduate student Priscilla Williams. My main research focus has been to identify functional assays suitable for characterization of outgrowth endothelial cells (OECs), a subset of endothelial progenitor cells, isolated from the umbilical cord blood of separate donors. These base guidelines will further indicate which assays are ideal in proving OEC integrity. 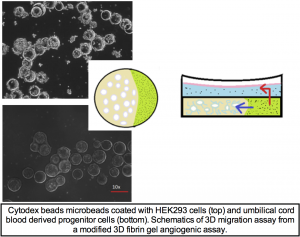 The ultimate goal of the project is to develop a biomaterial-based system that delivers certain soluble factors to enhance homing of circulating endothelial progenitors towards ischemic tissue for therapeutic angiogenesis. Bio: I am a third year undergraduate student studying biomedical engineering, with an emphasis on cellular & tissue engineering and biomechanics. Research Interests: Lentiviral drug delivery systems. 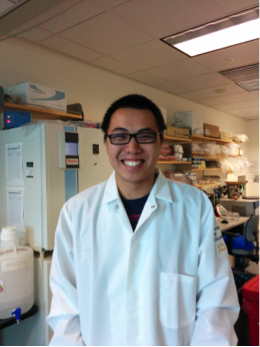 Bio: Kevin is a fourth year biomedical engineer specializing in cell and tissue here at UC Davis. Working closely with Justin, Kevin helps culture HEK 293T for various studies and produces lentivirus that are used as models for potential drug delivery systems. 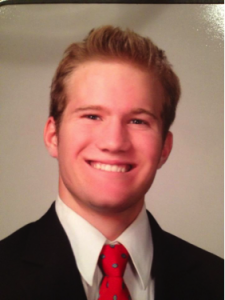 When not working in lab, Kevin enjoys snowboarding at local resorts such as Northstar and Kirkwood, cooking and enjoying good food, and sleeping. Research Interests: I am interested in biomaterials for drug delivery applications. In particular, I work with biomaterials to spatiotemporally control the release of drugs or lentivirus through microsphere encapsulation. 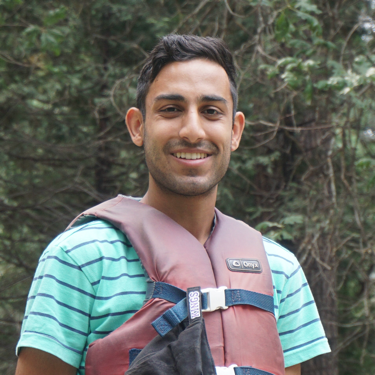 Bio: I am a Biomedical Engineering Undergraduate at UC Davis. Outside of the lab I play rugby for the UC Davis Men’s Rugby Club, am a member of the Biomedical Engineering Society, and am attempting to master the bass guitar. 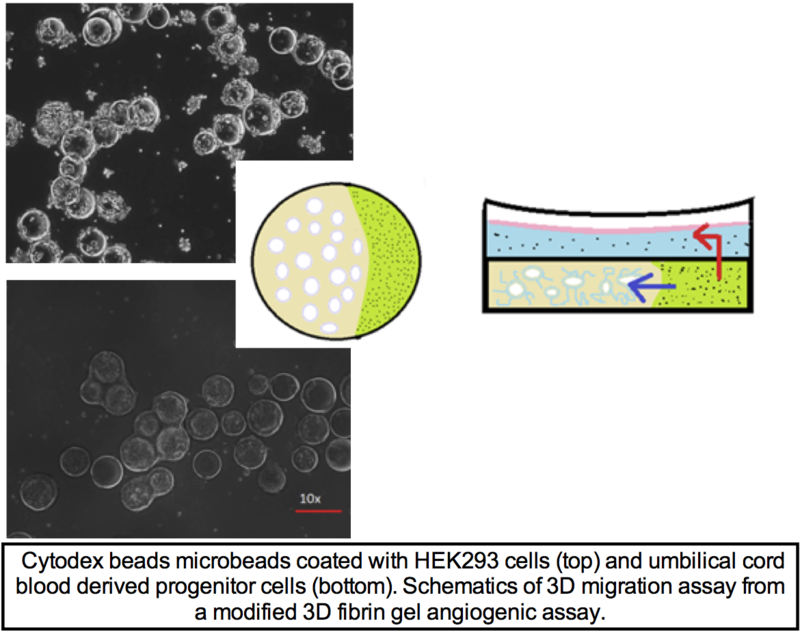 Research Interests: I am interested in cellular proliferation and migration of outgrowth endothelial cells (OECs) in response to a wound or scratch, followed by the quantification of the distance moved. Bio: I am a third year undergraduate student pursuing a degree in Biomedical Engineering at the University of California, Davis. I enjoy staying active with athletics, traveling, and academia. Outside of the laboratory, I am a member of the Biomedical Engineering Society as well as the Advanced Highway Maintenance & Construction Technology team (AHMCT).